Chemistry is the backbone of almost all the fields. Pharmaceutical Chemistry is useful for discovery & development of molecules, which can later furnish as a life saving formulation. Dept of Pharmaceutical Chemistry was established with an aim to design and synthesize new molecules for the treatment of diseases. 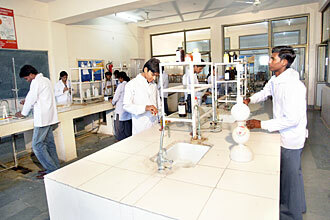 Dept of Pharmaceutical Chemistry has following laboratories. 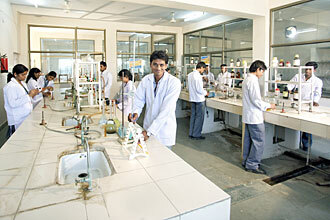 All these laboratories are well equipped with various sophisticated instruments.